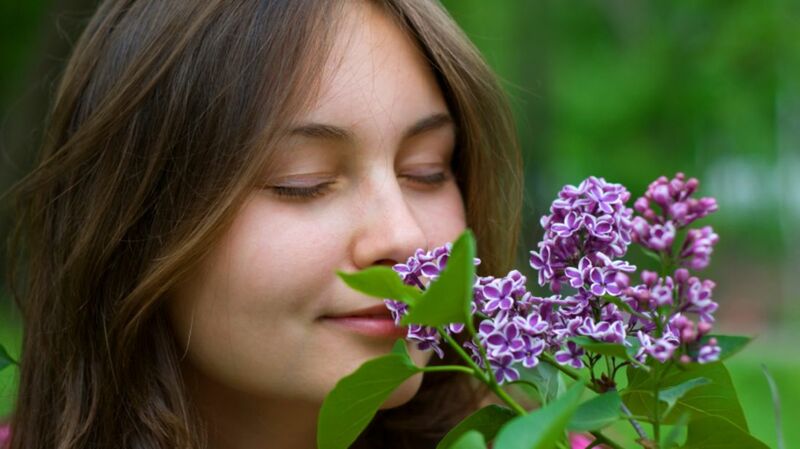 Though the United States Patent and Trademark Office lets you trademark a scent, few have taken them up on the offer. Millions of conventional trademarks (logos, slogans, etc.) have been registered, but the government's filings on their olfactory counterparts could barely fill a three-ring binder—by our count, there are less than a dozen active trademarked scents. That such a small number of these trademarks have been issued is due in part to the somewhat surprising reasoning behind what smells qualify. According to The Wall Street Journal, "In the U.S., you have to show that a fragrance serves no important practical function other than to help identify and distinguish a brand." This means that a product whose purpose is only smell-related—like perfume or air fresheners—cannot receive the protection of a scent trademark. Also, trademark applications have to be smelled by a government examiner, so samples must be provided. As a U.S. trademark official told The Wall Street Journal, "If an examiner’s nose isn’t working, the attorney would have to find a supervisor to do the sniffing." "The difficulty in registering a scent mark on the Principal Register appears to have deterred applicants from filing scent mark applications in the United States," explains the International Trademark Association. Other countries are stricter still. There are no current scent trademarks registered with the EU. Australia has granted only one (for a brand of eucalyptus-scented golf tee), and the UK has two registered smell trademarks, both successfully applied for in 1994: dart feathers that smell like bitter beer, and “a floral fragrance/scent reminiscent of roses as applied to tyres” for road vehicles. Our search of the U.S. Patent and Trademark Office uncovered only 10 active registered scent trademarks. One application for an orange-scented chemical used in fracking is still open and received some press attention earlier this year, but the company responsible for it seems to be letting the request lapse. The following scents don't necessarily smell better than normal aromas—they just have better lawyers. 1. "FLOWERY MUSK SCENT" IN VERIZON STORES. Verizon plans to pump this trademarked scent into their larger, "marquee" retail stores. Their application argues that the smell would help distinguish these locations from "other communications and consumer electronics retailers in an increasingly crowded field." It became an official trademark on October 7, 2014. 2. BUBBLE GUM SCENT FOR SANDALS. 3. PIÑA COLADA SCENT TO COAT UKULELES. The Eddy Finn Ukulele Co. fought for the right to trademark the piña colada smell that they apply to one of their ukulele models. They won the trademark, but wound up facing problems with the product itself. According to The Wall Street Journal, "Ukuleles shipped overseas lost their scent during the voyage … so by the time their international customers plucked them, they just smelled like ukuleles." 4. THE COCONUT SMELL THAT FILLS FLIP FLOP STORES. Footwear chain Flip Flop Shops received a trademark for the coconut aroma they pump into their retail locations. Their application included pages and pages of press releases arguing that the scent was a key part of their brand. "Approaching from 15 feet away," one example reads, "coconut suntan oil scent and active lifestyle inspired music begins to tickle the senses and excite the toes of likely customers." Flip Flop Shops co-owner Darin Kraetsch is a fan of many sensory experiences, it seems. "Believe me, if they had an edible flip-flop, we’d have it," he said in an interview (also included in their trademark application). For his example, he sent in a rose-scented hand wipe packaged inside a jewelry store advertisement (pictured above). Hisamitsu Pharmaceutical Co., a Japanese company, trademarked the "minty" scent of their pain-relief patches, a smell produced by a "mixture of highly concentrated methyl salicylate (10wt%) and menthol (3wt%)." The application lists these as "toothbrushes impregnated with the scent of strawberries," and Lactona, the company which makes them, formally obtained the trademark in 2007. 8, 9, 10. STRAWBERRY, CHERRY, AND GRAPE LUBRICANTS FOR COMBUSTION ENGINES. These lubricants, marketed today as "Fuel Fragrances" by Manhattan Oil, make your exhaust redolent. There are nearly 20 varieties, but only three smells are on record as being trademarked: "Super Charged Strawberry," "Cherry Bomb," and "Groovy Grape." First filed in 1995, these applications are the oldest scent trademarks that are still active today.